What methods do you use to distribute your resume or portfolio to potential employers? 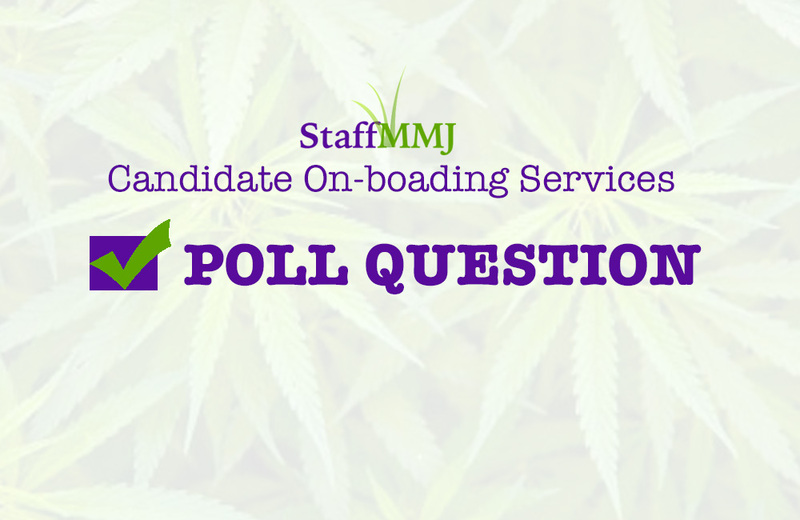 Do you want to start a job search, but aren’t sure how to go about applying for cannabis jobs? How you apply for jobs depends on the type of position you are seeking, and how the company accepts submissions. At many employers, you’ll be able to apply online or email your resume. With others, especially for front desk and busy retail positions, you can apply in person. Here’s information on the best ways to apply for dispensary jobs, where to look for jobs, how to apply for cannabis’ friendly jobs, and the best sites to use for your cannabis job search. Before you apply to jobs online, gather all the necessary information you’ll need to apply. Online job application systems will ask for your contact information, educational background and work history. You will need to know the dates you worked and what skills you utilized at your previous jobs. You will also need a functioning email address to use for job searching, reliable internet access, a current resume, cover letter, and your employment history experiences. In addition, as part of the job application process, you may need to agree to a background check and fingerprinting screening. Be prepared to submit employment references upon request. When you are emailing your resume to apply for jobs, all your communications should be as professional as possible. Make a good impression with this initial written correspondence. Your email messages should be properly formatted and should include subject line. It is important to send the proper resume format, either a PDF or a Microsoft Document. Save the file as your name and potential position to help the reader find downloaded documents (ie jane anderson budtender resume). In this highly competitive market where every job posting draws dozens (if not hundreds) of submissions, old-fashioned postal mail could be the way to get noticed. If you’re going to go this route, it is important to make the extra effort all the way. Print your documents on premium paper rather than ordinary copy paper. Also, make sure your resume and cover letter match in format and font. This method is good for applicants who wish to submit portfolios for work. For example, a tomato grower might wish to submit photos of his garden. Company websites are one of the best sources for applying to jobs, especially if you know you want to work in a particular environment, such as a dispensary or cultivation center. Job information is typically found listed in the “Careers” or the “About Us” section of employer websites. Always follow the instructions for applying to jobs online. Before applying in-person, make sure you have a copy of your resume, cover letter, and references with you. Dress as if you are ready to interview on the spot, but don’t expect it. If you are lucky, you may even get a chance to meet with a manager or could even be hired shortly after your interview. Make sure you know how to follow up before leaving the potential job premises. In-store kiosks and applications are convenient for both applicants and employers. Usually these types of methods are available at larger companies who have an HR department on site. This person might review your review in real time. Try to use keywords and important positive words that grab the reader’s attention. Asking your friend for a referral is a popular move, but it can be risky. Unless you’ve worked with that friend on a professional level, the consequences are that it could not only affect your friendship but if something turns out that you’re not the right match, it could potentially damage your friend’s credibility at work. Also, make sure you can see yourself working with this person. You may enjoy each other’s company on a personal level, but is this someone you can go to for help? For teamwork? Remember, just because a friend referred you does not guarantee you will receive an offer.